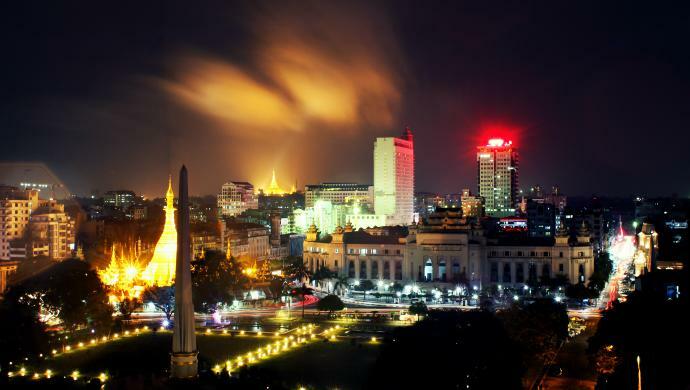 As rising GDPs and affordable smartphones are putting the Internet into the pockets of millions of new users in Southeast Asia, the region has become a global hotspot for companies trying to take advantage of a young and vibrant ecosystem. The story is nearly universal from country to country. Indonesia leads the way as the largest market, both in population and economy. The Philippines has one of the most active social media engagements in the world and Thailand, Malaysia and Vietnam all have legitimately exciting and budding ecosystems to support. But nowhere has the change been more dramatic than in Myanmar — thanks in large part to surging smartphone adoption, the country has come from a near Internet blackout (a o.2 per cent penetration rate in 2010, according to Internet world stats) to a population in which 18 million people (34 per cent of the population) were on Viber in December 2015. 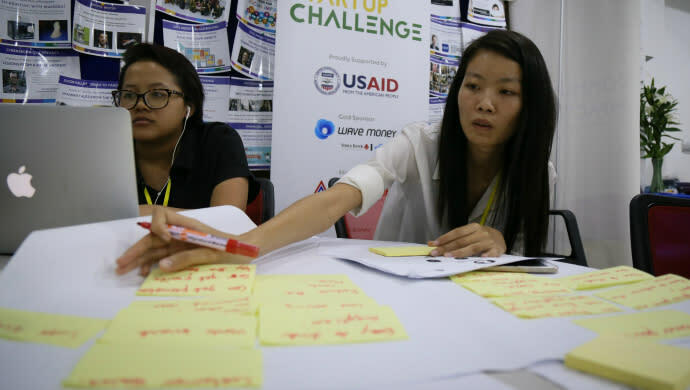 This trend has motivated Phandeeyar — a Yangon-based innovation lab founded in 2014 — to launch the country’s first ever accelerator programme. Announced today, ‘Phandeeyar Accelerator‘ is a six-month-long programme run once a year targeting Myanmar-based early-stage startups. “If you are not here, a lot of people do not realise what an amazing story [Myanmar] is. To go from almost no mobile and Internet connectivity to almost mass connectivity in less that two years … It is a story of an incredible digital leapfrog,” Phandeeyar Founder and CEO David Madden tells e27. 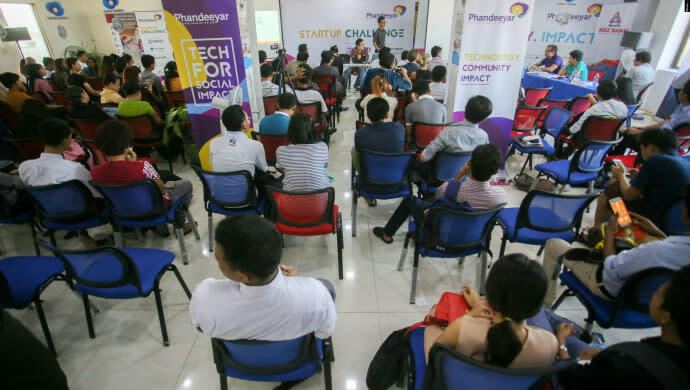 “Basically [Phandeeyar Accelerator] will provide the support and resources to the tech entrepreneurs who are going to build the things that are going to make that digital leap frog happen,” he says. Financially, the accelerator will provide US$25,000 to accepted companies (Phandeeyar hopes for between four and eight participants) in return for 12 per cent equity via convertible note. To fund the project, the company tapped an old investor in the Omidyar Network, a US$969 million fund started by eBay Founder Pierre Omidyar. While the amount raised was undisclosed, Madden did say, with the help of other investors, the accelerator has enough funds to run the programme for at least three years. Maddens specifically cited his gratefulness for the support of the Omidyar Network for its experience in investing in frontier-market companies such as Phandeeyar. Other perks Phandeeyar will provide is free office space, access to over 30 mentors, a network of investors, and connections both inside and outside the country. Additionally, it has made business partnerships with the likes of Amazon Web Services, the PR agency Today Ogilvy​­ and even an English-language education company called Edulink to contribute benefits to the startups. Other companies contributing perks are Telenor Myanmar, Wave Money, Facebook Start, Microsoft BizSpark, PwC Myanmar and JobNet. At this point, the project is a private-sector venture with no direct government support. For readers discovering Phandeeyar for the first time, the key point to understand is this is not the case of a foreign-company flying-in hoping to take advantage of a booming ecosystem but having little knowledge of the on-the-ground or cultural realities. 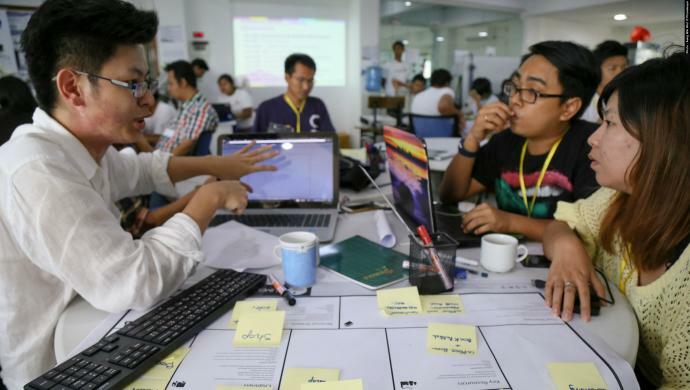 Rather, Phandeeyar is on the front lines of Myanmar’s startup scene; it kickstarted the country’s first-ever hackathon series in 2014 and has held over 100 events like meet-ups, seminars, workshops and major events. “Through our deep engagement with the tech startup community, we got an acute awareness of both the talent and drive of the community, but also some of the challenges they face,” says Madden. Besides fairly obvious challenges, like infrastructure development — Madden says the power went off twice the morning we spoke — a major hurdle for companies is access to risk capital. To highlight the problem, in the pitch deck for the accelerator, Phandeeyar highlighted eight companies that raised six-digit rounds in 2015. The point was two-fold. One, it was meant to educate people that the country is producing legitimate companies. However, the eight startups all had one thing in common; they had to leave Myanmar to raise the cash. “So there is real talent here, but you’ve got to be incredibly resourceful. You have to get on a plane basically to get the money you need,” Madden says. And stepping back, this was the impetus for starting the accelerator. It began accepting applications on June 10 and it is open until July 31. On September 1, accepted startups will move offices to Phandeeyar and demo day will be in March 2017. Jes Kaliebe Petersen, a veteran of the mobile-Internet sector in emerging Asian markets, will be the Director of the programme. He explained why the programme, at six months, is a bit longer than the norm in the region (most accelerators are three-month programmes). “Basically we feel that there are some obstacles that make it hard. It just takes longer. So we want to give the startups the time they need to get off the ground,” he said. Petersen says Phandeeyar is looking for startups that have not raised money, may have built an MVP and possibly even put the product to market. But, he says, the key criteria is the team. “We are convinced there is someone that will own the market in a number of verticals in Myanmar. It is just a matter of when is the right team going to come in an execute on that,” he says. One unique feature of the accelerator is that all the legal framework is going to be handled through Singapore. This applies to both investors backing the accelerator itself or those participating in follow-on rounds. Madden says, “I think the Singapore legal system is extremely well-known to investors, very well understood and provides a level of comfort that is useful when investing in a frontier market”. Despite being a poor country in the region, this frontier market is large, with a beating heart in Yangon; which is why Madden was so enthusiastic about the possibility of mentoring Myanmar startups to make an impact on Myanmar the country. “Everyone from McKinsey on down has been talking about the potential for Myanmar to do this digital leapfrog, but it is not going to happen automatically. It needs Myanmar entrepreneurs to build products and services that fill real gaps and needs in the market,” says Madden. All photos courtesy of Phandeeyar. The post Leaping to new heights: Introducing Myanmar’s first ever accelerator programme appeared first on e27.